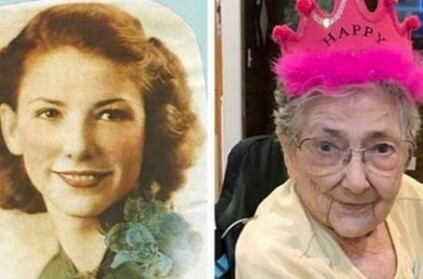 This news comes as an astounding one, where a woman from the US, who died at the age of 99 of natural causes, managed to live with her organs on the wrong side of her body due to a rare congenital condition. The woman has been identified as Rose Marie Bentley who raised five kids and helped her husband run a feed store. According to media reports, it was only after she died that medical students discovered that all her internal organs, except for her heart were in the wrong place. The discovery of the rare condition was astounding because Bentley had lived so long and never complained for heart problem. Bentley had situs inversus with levocardia, which means her liver, stomach and other abdominal organs were reversed right to left - the mirror image of a typical human anatomy. Her heart, however, remained in the normal position, on the left side of her body. Cameron Walker, an assistant professor at Oregon Health and Science University, told CNN that "Instead of having a stomach on the left, which is normal, her stomach was on the right. Her liver, which normally occurs predominantly on the right, was predominantly on the left. Her spleen was on the right side instead of its normal occurrence on the left. And then the rest of her digestive tract, the ascending colon, was inverted as well. However, Bentley’s heart was in good shape, which likely explains her long life." Walker further added that he and his colleagues believe Bentley may have lived to be the oldest person known with the condition. This page contains news relating to various facts and events. The views are generally about current affiars and general topics in diversified areas such as political, international, national, and regional issues, sports, health, travel, lifestyle, technology and business. People having similar interets on the above topics will find this page useful. US woman's all organs, except heart, placed on wrong side; she lives u | World News.